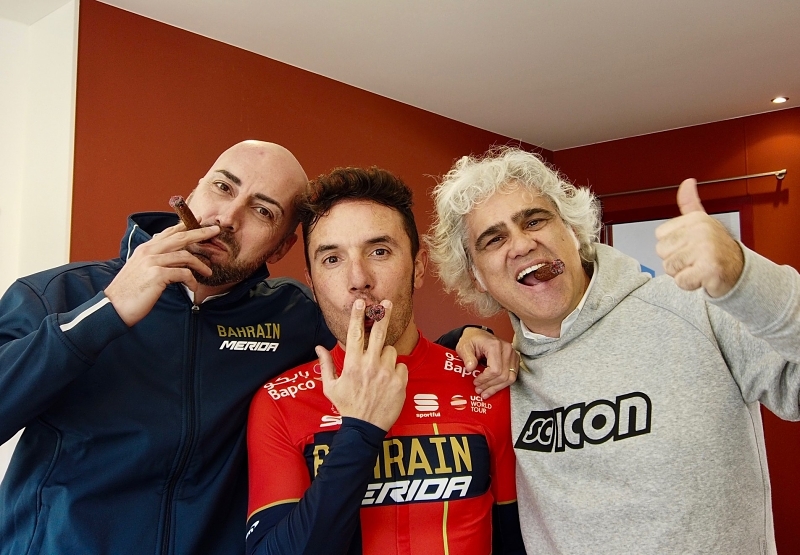 Home > Blog > Purito Rodríguez and his new facet as the Bahrain Merida Pro Cycling Team’s ambassador. We have taken advantage of Purito's stay at Cambrils Park Sport Village during the Merida Pro Cycling’s training camp to ask him about his new facet as the team’s ambassador and about other topics. Don’t miss it! A team mate’s internal joke that becomes your nickname for life. At times can be your worst nightmare, at times can be an omen. This was the case of Joaquim Rodríguez, known as 'Purito', responsible for historical milestones and great joys for the Spanish cycling throughout his 16 professional years. Have you ever got tired of being “Purito” instead of being, merely, Joaquim? Getting tired of the nickname 'Purito' is difficult because, in the end, is the name I’m known by. In fact, I would say that barely anyone knows that my name is Joaquim Rodriguez. Not only in the cycling world, but also in real life. If you ask people if they know who Joaquim Rodriguez is, they will doubt, but if you say “Purito” or 'Purito Rodriguez' they immediately know. Purito, Alex Carrera and Claudio Fantin (members of Barhain Merida) represent with humor the origins of Joaquim Rodríguez's nickname. You are famed for being one of the greatest cyclists, and not only for your track records, but also for your charisma. It is said that you have always succeed in winning people’s affection, from followers, rivals and mates alike. Do you think that having a good attitude is the key to be successful? I think that my personality is because of cycling. I chose the sport that I liked the most and I did it gladly. Becoming a professional was my biggest goal. From there, everything that came, all the victories, have been a plus. It is true that my opponents were shocked, especially by my reactions to defeats, that I reacted the way I did. But I think it was because, to me, being at that level it was already an accomplished goal. Maybe for that reason I didn’t take defeats as bad as others did. What is the best memory you have from your professional time? The best memory I have from when I was a professional is the entire 2012 year. It was an amazing year despite loosing the Giro and the Vuelta. But if I had to choose only one moment would be Lombardy in 2013, because we had just lost the World Championship in Florence and a week later…It meant to go from the biggest hole, from loosing the World Championship, to go back to glory again winning the Giro di Lombardia. Any anecdote with a teammate worth to be told? Maybe the greatest anecdote I have is at La Vuelta 2012 when I lost against Alberto Contador when no one was expecting it. Maybe it was the magic that Alberto had when he was competing. It was a stage race where no one thought it could happen something unexpected and it happened more than in the 20 previous days of La Vuelta. What do you miss and not miss about being a professional cyclist at the highest competition level? 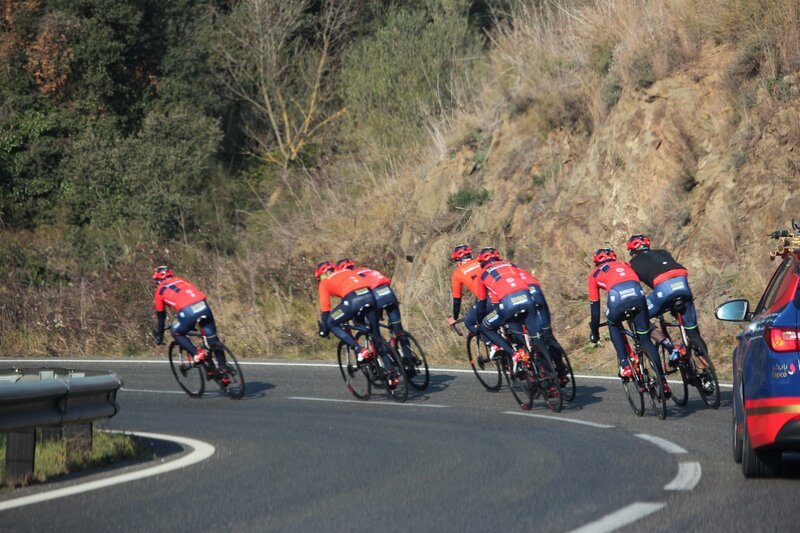 Fortunately, from the cycling world there are few things I miss, because I immediately enrolled in a professional team project like the Bahrain Merida. And whether you want to or not, this hasn’t made me miss the cycling environment. What I miss a little is to compete. These days at the training session with the team mates I see the relationship between them…and that I also miss it. Those concentrations were wonderful, for us it was like going on a sleep-away camp. On January 2017 you started a new phase as the ambassador of the new team Bahrain Merida and specifically as the youngest team member’s mentor. How is it going? Not only as a mentor. When there are big events and cyclists need to rest or must compete, I interact with the team’s sponsors. In addition, after being a professional for 16 years I have learnt something… So, with the youngest I like to have a direct contact. I train with them as it is on the bike where a cyclist expresses himself better and, this way, they open themselves easily with me. It is not easy for a 21 year-old that becomes a professional and starts to share his days with 35 or 26 year-old cyclists who already have their own family, kids….. and are not, quote unquote, at the same stage of life of a 20-year-old. I try them to get easily used to the team. Do you see yourself in them? Do they resemble you when you started? Yes, a lot. I was lucky to become a professional at a very young age, when I was only 20-year-old, and one of the riders that helped me the most at that adaptation phase was Álvaro González de Galdeano. I was lucky to ride a Giro d’Italia with him and as I like to listen a lot and to get the positive …..The truth is that the experience helped me to change my mindset and to realise that I was already a professional and that things were getting serious. I must say that the team is very good. The level is high, especially with Vicenzo Nibali who is, if not the best, one of the best cyclists in the world. With him, everything is easier. But on our third year, having a world winner in our team and having achieved what we have up until now, it is very important. Now that you don’t compete, you have more time to spend on the bike, but in a different way. For example, with your own touring cyclist trial “La Purito Andorra” that on August 2019 will reach its 5th edition. Are you satisfied with its consolidation? This year will be the fifth anniversary of 'La Purito Andorra' and we are proud of how it is working. I think we are doing a quite good job. You also manage a cycling school in Andorra, where you live nowadays. What is it that you want to transmit to your students? From the first year, the main thing I want to transmit is that results are not our main goal. That what they should do is to have fun and enjoy. I have this anecdote about my son who is now 10 years old and attends the cycling school. He went to a race called after me, and because of some parents’ pressure, for being him Purito’s son, he didn’t want to compete. I saw it, he was quiet, and I was the first one to tell him “You have come here to have fun, do what you want to do. If you don’t feel like competing, keep playing football, turn around, do what you like” And he didn’t compete. That is what I want them to learn at the school, a child must go to a race with the least stress possible and to have a blast. In fact, thanks to that day that my son realized that there isn’t any obligation to compete, a race he sees a race he takes part in. Because now he chooses. And that is the most important at the school, to let your children choose. Months ago, we interviewed Abraham Olano and he specially highlighted that youngsters are being forced to compete too early. Precisely he said: “They break them down too early. It is too much work for a kid who is still growing”. What do you think about this statement? That’s right. I fully agree. I have always said that until they reach the legal age, kids must do what they like. When I was young, I did what I liked, I never was one of the best racers at lower categories. In fact, as Abraham says, the ones who won and had better results, never make it to professionals. However, the ones who were calmer and occasionally would stand out, we got lucky to make become professional. That means that: calm and tranquillity. Not to kids, but to their parents. Every father has the world’s champion at home, and they need to understand that it is not easy. First, they must enjoy and if they want a world champion, had they been one. You know Costa Daurada’s roads very well. What do you think are the features that make our area an excellent destination for cyclist? What would you highlight? You can go from the sea to the mountain in less than 40 minutes by bike. Therefore, if one day you prefer flat, you stay at the beach area and if you want mountain you only need to go inland and there are lots of mountain passes. And that is not easy, it is not easy to find a land so good. 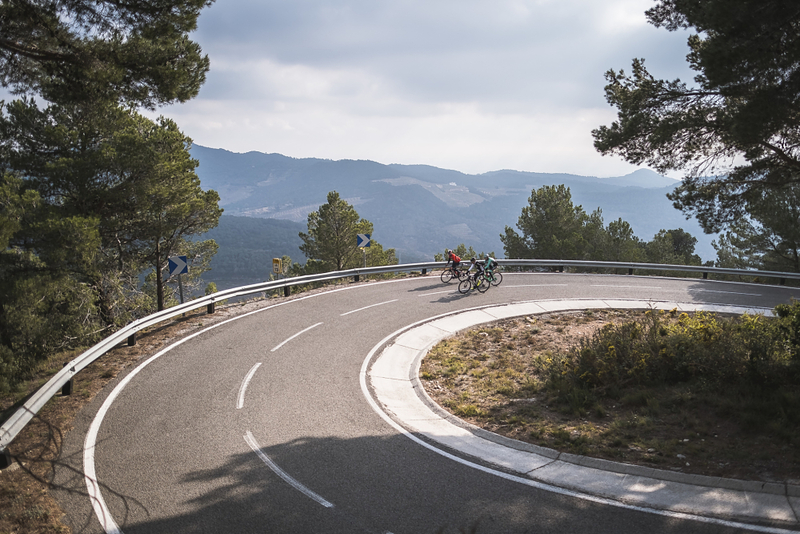 What do Cambrils Park Sport Village’s facilities have that satisfy the needs of a cycling team’s training like the Barhain Merida’s? Not only for our team, to any (team)! I didn’t know about it, to be honest, and I am impressed by its dimensions. Teammates are delighted because they feel like being in a small village, each one has its own house and they only get together to eat and train. That gives them more privacy and the feeling of being at home, it is not like being at a traditional hotel, like they normally are during the year. That along with the roads, helps to take it calmly. It is said that you belong to a golden cycling generation, together with Alberto Contador, Alejandro Valverde or Freire, that won’t come back. What do you think it will make the difference between your generation and the upcoming one? I don’t think we have been a golden generation. We have been a good generation, we have won almost everything, but I don’t think that it will be the last, in no way. The current generation is very strong, cyclist like Marc Soler, Enric Mas, David de la Cruz are coming. There are cyclists that are achieving good results and I don’t’ think they have any reason to envy our generation. 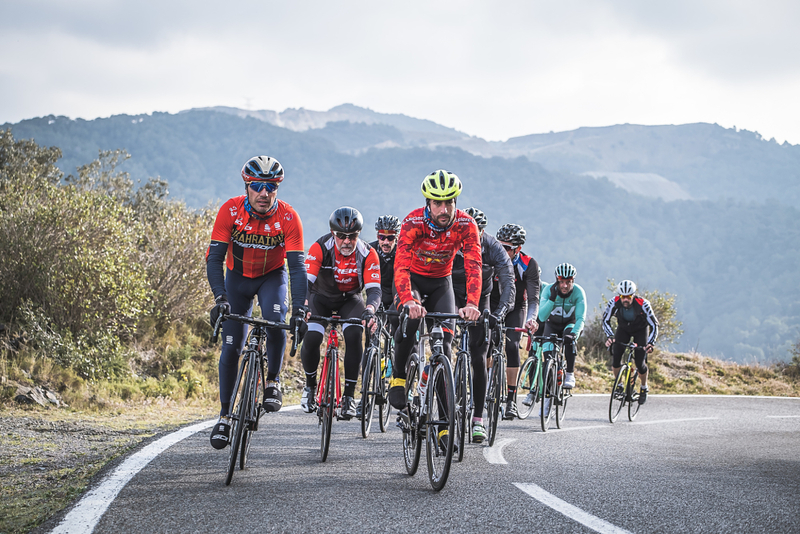 When Pedro Delgado’s generation left it seemed like no one would win the Tour until Miguel Indurain arrived, then Oscar Pereiro arrived, then Alberto Contador, Alejandro Valverde, myself, Samuel Sánchez, Óscar Freire…There is always someone. In Spanish cycling, fortunately there is an impressive cycling culture and that won’t stop here. Thank you very much and good luck Purito!